Synopsis: Machine Man #13 brings Aaron Stack into combat with Kublai Kahn, who first appeared in issue #11 (October 1979). Kahn is determined to capture Machine Man so that he can transplant his consciousness into Stack's robot body in order to have a physical form that matches his brilliant intellect. 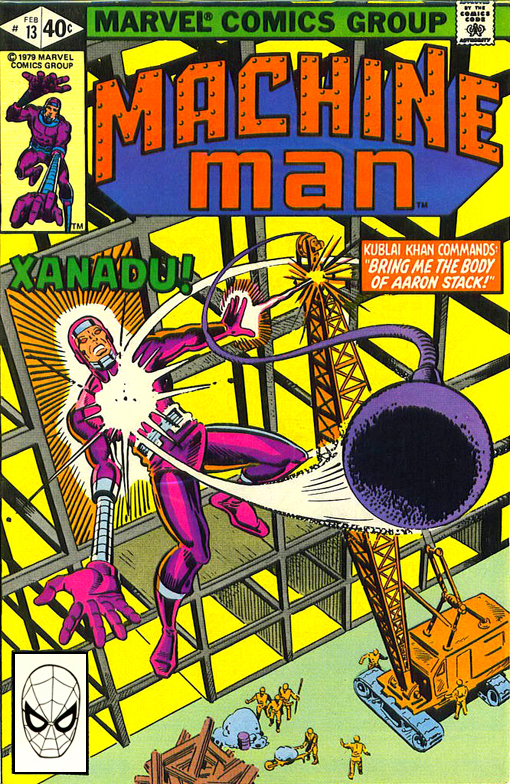 While Kahn succeeds in luring Machine Man to his dirigible fortress Xanadu and capturing him, thanks to the assistance of his minion Tong, the mind transplant procedure does not succeed and Machine Man manages to escape while Xanadu goes down in flames.